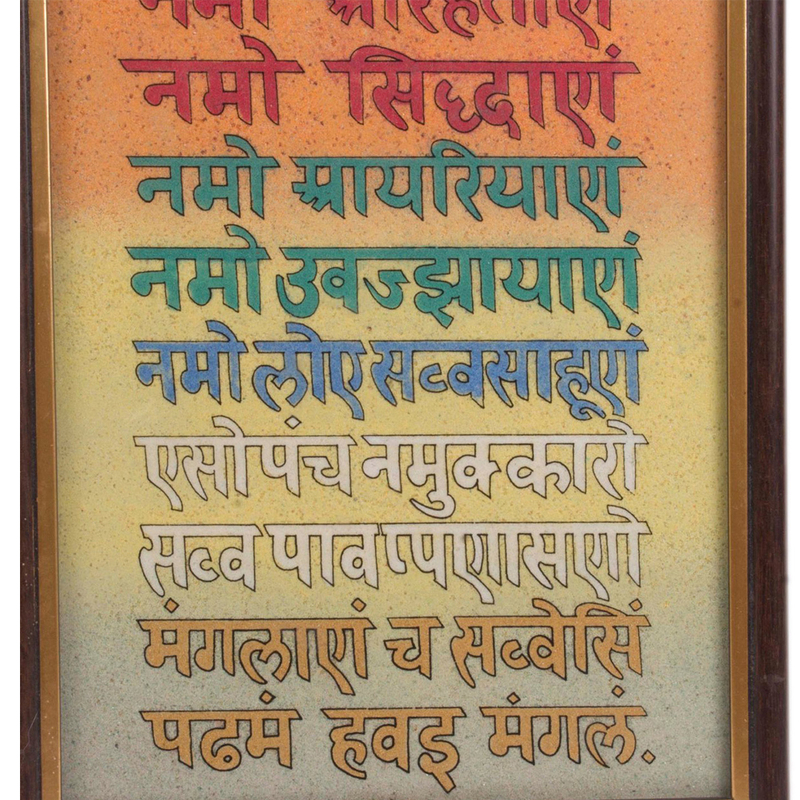 The Namah Mantra is holy, auspicious & most powerful Mantra in Jainism. By uttering this Navkar Mantra with devotion & attention, it is possible to Read More..connect with the god. It is the medicine to inner strength & concentration buildup & you can dedicatedly worship the prophet of the Jainism through this. 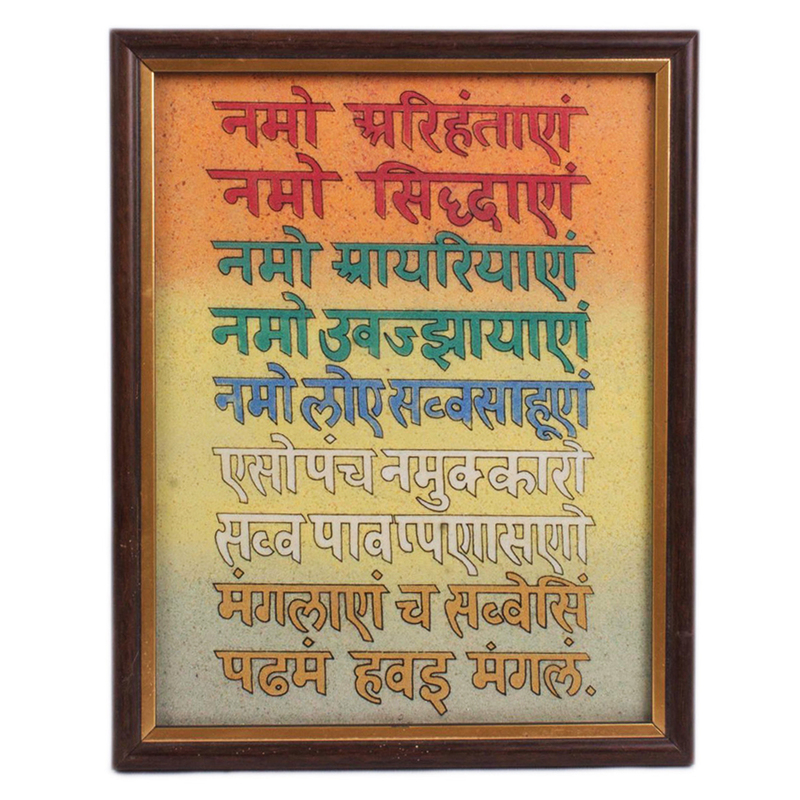 This mantra written by gemstone crush on a wooden frame is a very special & ideal piece of artistry. Hang this in your drawing room & you will feel the positive vibes spread across. The craftwork & quality of the picture is simply superb & it is a perfect amalgamation of quality with style. Get this now from boontoon. Show Less..